Such a statement by Srila Sridhara Maharaja is not to be taken lightly. 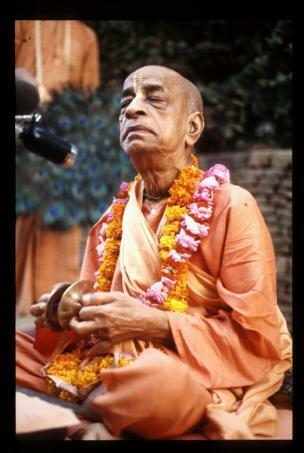 Even so, a short time later some of Srila Prabhupada’s disciples raised an objection to Srila Sridhara Maharaja referring to Srila Prabhupada as being in sakhya-rasa. Srila Sridhara Maharaja was shocked by the immaturity of those devotees. The consideration of rasa was obviously not a topic that those disciples were familiar with. Indeed, their harshness in dealing with Srila Sridhara Maharaja reflected their extreme neophyte state of Krsna consciousness. At that time, Srila Sridhara Maharaja said that because of the special empowerment of Sri Niyananda Prabhu, our Guru Maharaja may have couched his madhurya tendencies in deference to Him. For some devotees, Srila Prabhupada is seen as being in madhurya-rasa, for others as being in sakhya-rasa, some even claim to know his name and svarupa, and yet for others ‘the jury is still out.’ In any case, His Divine Grace seems to have been of a class of devotees that Srila Sridhara Maharaja sometimes called the ‘suicidal squad’. A possible solution to the question of Srila Prabhupada’s rasa may be found in Jaiva Dharma, chapter 21 wherein Vijaya-kumara sees his guru, Raghunatha Dasa Babaji, as a manifestation of Lalita-devi in madhurya-rasa, whereas Vrajanatha sees Raghunatha Dasa Babaji as a manifestation of Subala in sakhya-rasa. Both devotees saw their guru in relationship to their own rasa with Krsna. When the disciple is qualified, the guru will appear and all that is knowable will automatically be known to the disciple. To have realized the eternal rasa and status of one’s guru, or one’s own eternal rasa with Krsna, is certainly an exalted state of Krsna consciousness, and with certainty one can say that such realizations are an intimate part of one’s bhajana. 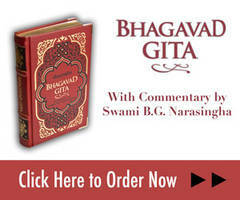 According to the core Gaudiya Vaisnava scriptures composed by Sanatana Goswami, Jiva Goswami and Narrottama Dasa Thakura, such intimacies are better kept secret — not to be told here and there for the public ears, and certainly not to be forced upon others.